Should You Convert Starpoints to Avios with a 56% Bonus through October 15? Until October 15, you can convert 20,000 Starpoints to 31,125 Avios, a 56% transfer bonus. Ordinarily 20,000 Starpoints transfer to 25,000 Avios, the same 5,000 mile bonus you get on every 20,000 Starpoints transferred to all 1:1 airline partners. Until October 15, British Airways is giving a 25% bonus on all incoming transfers of hotel points to Avios. That means that the normal 25,000 Avios becomes 31,250 Avios. The headline figure of a 56% bonus on transfers from Starpoints to Avios is eye catching, but is it a good deal? That depends on your valuation of Starpoints and Avios, which depends on how you use them. For whom is transferring Starpoints to Avios a good deal? For whom is it a bad deal? How can you get Starpoints to transfer? I value Starpoints at 2.5 cents and Avios at 1.7 cents. On those valuations, 31,250 Avios are wroth slightly more to me than 20,000 Starpoints, but it is very close. I take a lot of short, direct flights on Avios partners, which is the best use of Avios because I take a lot of extended trips where I might need a flight between Buenos Aires and Bariloche, Sydney and Cairns, or Los Angeles and Honolulu. If you are collecting miles to get two first class flights to Europe, you would value Avios much lower than 1.7 cents because that’s a poor use of Avios. I also value hotel points below most people because I am content to stay in hostels or airbnb homes. If you want free or cheap hotel stays, you would value Starpoints higher than 2.5 cents. Read my Starpoints and Avios primers, so you understand what each point is useful for. They are very different points with very different strengths. Consider whether 1 Starpoint or 1.56 Avios is more valuable for your future, concrete plans. If you have no concrete use for the Avios, do not transfer speculatively. I’ll elaborate on point 2 a bit. I don’t think a speculative transfer is a good idea for two reasons. The option value of Starpoints is very high because of their many, disparate uses. This is not the first time we’ve seen this Starpoints to Avios 56% transfer bonus, so we may see it again, and there is no need to burn your Starpoints now unless you have a use for the Avios now. There are two cards that earn Starpoints, the Starwood Preferred Guest® Credit Card from American Express and the Starwood business card. 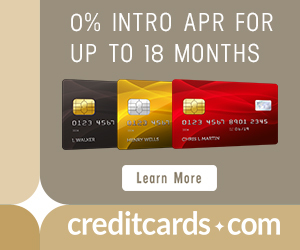 Both cards offer 25,000 Starpoints after spending $5k in six month. Getting both cards and meeting their spending requirements would result in 60,000 Starpoints. Until October 15, 60,000 Starpoints would transfer to 93,750 Avios. What can you do with 93,750 Avios? Almost four roundtrips (100k) between the west coast and Hawaii on direct Alaska and American flights. 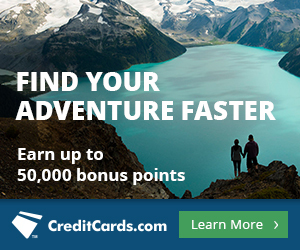 Starwood Preferred Guest® Credit Card from American Express with 25,000 bonus Starpoints! Earn up to 5 Starpoints® for each dollar of eligible purchases at participating SPG hotels and resorts – that’s 2 Starpoints for using the Card in addition to the Starpoints you earn as an SPG member. Earn 1 Starpoint for all other purchases. This promotion is only open to Eligible Participants. An Eligible Participant is a person aged 18 or over and is a British Airways Executive Club (“BAEC”) Member (membership terms and conditions apply) and is enrolled and registered with one of the participating hotel partner loyalty programmes. By taking part in this promotion, Eligible Participants confirm that they accept these Terms and Conditions. Participating hotel loyalty programmes are Club Carlson, Hilton HHonors, Hyatt Gold Passport, IHG Rewards, Marriott Rewards, Golden Circle and Starwood Preferred Guest. To become a member of any of the hotel loyalty programmes click here and simply choose the relevant hotel partner, follow the links to enrol via their website. Eligible Participants will receive 25% more BAEC Avios (“Bonus Avios”) when they convert Qualifying Hotel Loyalty Points into Avios between 1 September 2013 to 15 October 2013. To participate, Eligible Participants must first enrol if they are not already members via the hotel property link provided above. The standard earn rate for loyalty points earned through the hotel loyalty programmes varies according to the hotel partner. For example, the standard earn rate for the Hyatt Gold Passport Programme is 1 of Avios for every 2.5 loyalty points converted. Therefore, an Eligible Participant who converts 5,000 of Hyatt Gold Passport Programme loyalty points during the Promotional Period will earn 2,000 Avios + 25% extra (500 Avios) = 3,125 Avios in total. For full details on the earn rates per hotel partner please click here. Bonus Avios can take 4-6 weeks to show on your account from the date of conversion. Once they have been credited, you can start redeeming them for flights, hotels and Avis car hire. Taxes, fees and charges remain payable by the BAEC Member. Reward flights are subject to availability and capacity control and availability may be limited at peak times. Loyalty points from the different participating hotel loyalty programmes cannot be redeemed together and must be redeemed separately. Loyalty points earned with the participating hotel loyalty programmes during the Qualifying Period are valid for this promotion, provided that they are redeemed within the Qualifying Period. Bonus Avios is issued subject to the BAEC Terms and Conditions and all passengers and baggage are subject to the general terms and conditions of carriage. Hotel loyalty scheme membership, and earning and redemption of Qualifying Hotel Loyalty Points are subject to the Terms and Conditions of each specific hotel’s loyalty scheme in addition to British Airways Terms and Conditions, as applicable. Standard Avios are issued in addition to Bonus Avios. This promotion cannot be used in conjunction with any other British Airways or participating hotel partner offer or promotion. By taking part in this promotion, participants agree to the personal data they supply being used by the Promoters or their agents or subcontractors to administer this promotion, who will only use the information provided for the purpose of administering the promotion. This promotion is provided by: Club Carlson – Carlson Hotels Inc. having its registered office 701 Carlson Parkway, MS 8203, Minnetonka, MN 55305, USA, Hilton HHonors Worldwide, having its registered office at L.L.C. 7930 Jones Branch Drive, McLean, Virginia 22102, USA , Hyatt Corporation having its registered office at 71 S. Wacker Drive, Chicago, Illinois, 60606, USA, InterContinental Hotels Group PLC having its registered office at Broadwater Partk, Denham, Buckinghamshire, UB9 5HR, UK, Marriott® having its registered office at Albemarle Street, London W1S 4HQ, UK, Shangri-La International Hotel Management Ltd having its registered office 28/F Kerry Centre, 683 King’s Road, Quarry Bay, Hong Kong, Starwood Hotels & Resorts Worldwide, Inc having its registered office at One StarPoint, Stamford, CT, USAand British Airways Plc Waterside, PO Box 365, Harmondsworth, UB7 0GB. Registered No. 1777777 England. Considering how easy it is to get Avios via MR transfers from much better cards like PRG, transferring hard-to-get SPG (with its pathetic 1x) seems pretty dumb. Assuming you wanted to use spg nights and flights for transfer to BA, would the 50,000 miles be eligible for the bonus from BA? That sounds like an interesting prospect. Very good question. I strongly suspect the answer is yes since British Airways would see that as an incoming transfer from Starpoints, but I don’t know for sure. How long does it take StarPoints to transfer to Avios?? Not instant. Plan on several days to a week.